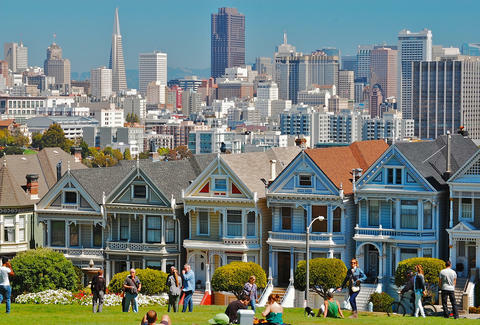 In a turn of events everyone saw coming but dreaded nonetheless, the median rent in San Francisco has risen once again to an insanely high $4,225 per month according to data compiled by Zillow. That's a whopping 16% increase compared to last year's numbers, which were already 14% higher than the year before. It's no wonder California itself is so unaffordable. Zillow's Rental Index accounted for all types of rental properties in the city, from one-bedrooms to condominiums. It's not just San Francisco proper experiencing this impossible rate hike, though: the data shows staggering rent escalation throughout the entire metro area surrounding the city, with rents in nearby Daly City experiencing a 201.1% year over year increase. The word "unsustainable" leaps to mind. Basically, unless you're CFO of a prominent Silicon Valley startup, it's time to start considering your options. And frankly, even if you are that dude, if trends continue, you'll be priced out of the market soon enough.